As I was growing up my family always had something “sour” with every meal…sometimes it was a leafy salad, sour pickles, sour red beets or sour red peppers… The acidity in these prepared vegetables was always vinegar… This sour side dish was eaten with the meal, not before or after, it was a part of the main course. Sometimes it was served on the side on a separate plate, but most of the time it was served on the same plate with the main course. This of course is a part of our Austrian/Hungarian heritage. 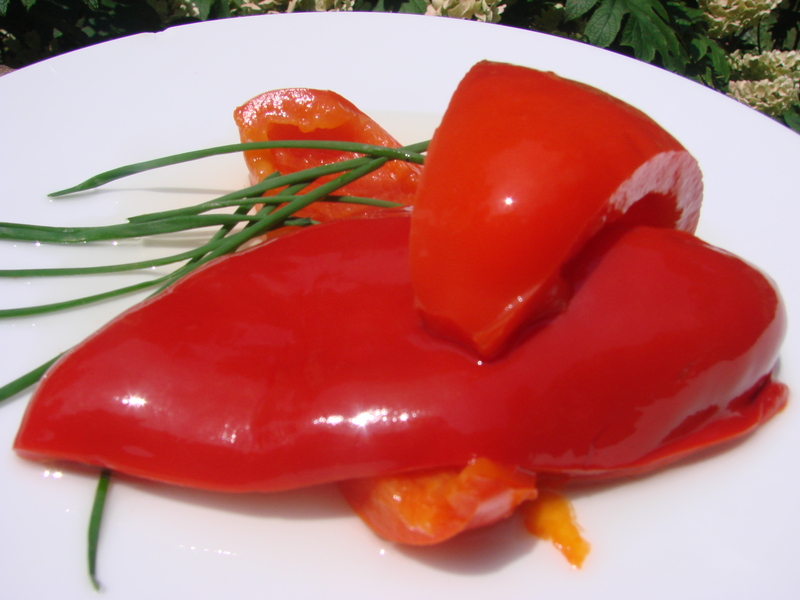 Today I want to share a Sour Red Bell Pepper recipe that we often made and just kept in the refrigerator until gone. It is good to know that it will keep in the refrigerator for about 2 weeks or longer, however it never made it that long in our family. Here is the very simple recipe…. Wash and take the seeds and veins out of the peppers then cut them either in halves or quarters and set them aside. Heat the four cups of water in a saucepan until it boils, then add the vinegar, salt and sugar. Simmer the peppers for about 15 to 20 minutes. The pepper has to be crisp, do not let it become mushy…. 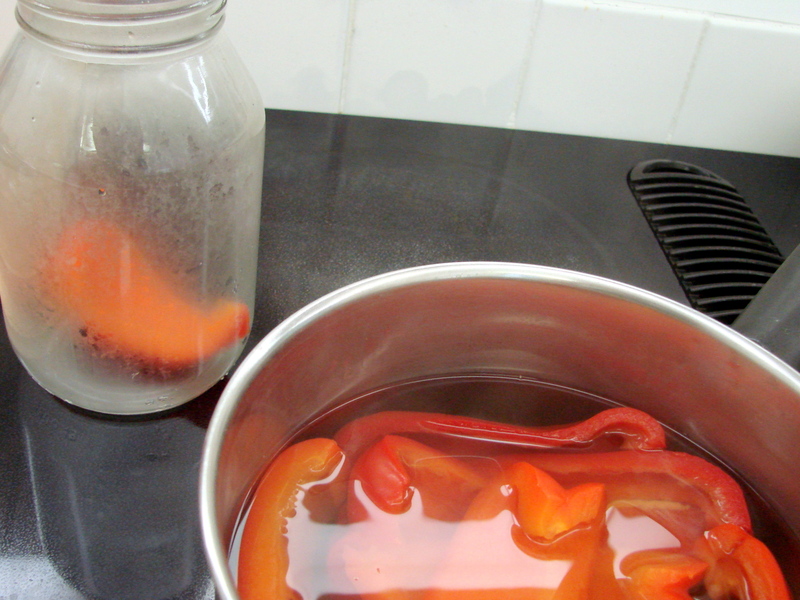 Place peppers into a large, clean jar and pour the hot vinegar mixture over the peppers until they are completely covered. Add the garlic cloves and lastly add the olive oil to cover and seal. The olive oil seals the liquid and the peppers to become an anaerobic environment for the peppers where spoilage is slowed. Add the lid on top of the jar and refrigerate at least one day before serving to allow the acidity to penetrate the peppers. Peppers will keep for about 2 weeks in the refrigerator…sometimes longer. Serve as a condiment or a salad. 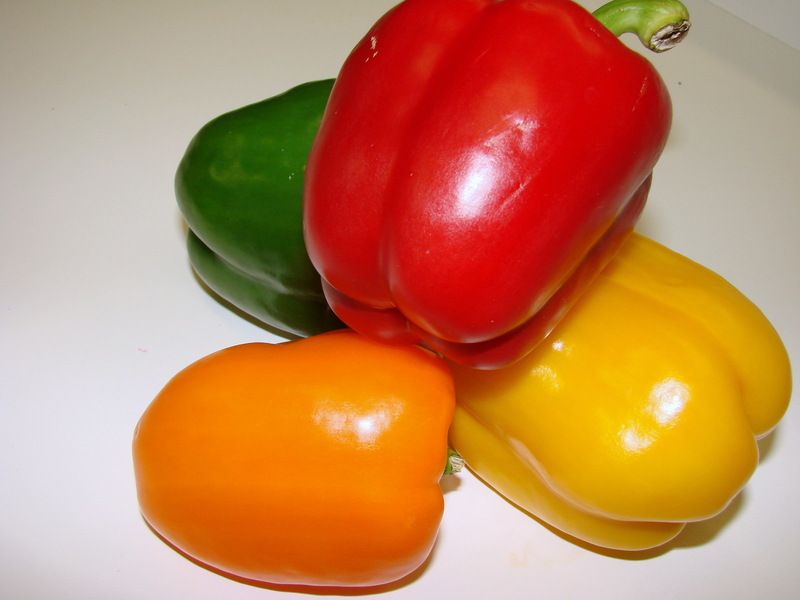 Note: Use all colors of peppers, red, yellow, orange, however, the green peppers lose their color and do not look as appetizing as the other colors. Sour peppers are wonderful when chopped and added to a black bean soup or any soup that requires a touch of acidity to compliment its flavor. Or, make an open-faced sandwich with them placing first the sour pepper on the bread then any kind of meat and cheese and ending with a slice of apple or pear, and dribble some balsamic vinaigrette over it……my very favorite lunch. that is particular in the way you eat your meals? Maria! I will be trying this as soon as our peppers turn red. I might add 1-2 hot, red cayennes into the mixture, as we like a bit of “heat” (and I’m certain that does not offend you)! My husband is going to love these on steak sandwiches… I added to green salad. Thanks for a nice, reasonably quick, new-to-me recipe to make use of some of my red bell peppers! ~ Mel. Hi Mel….I think a couple of HOT peppers will make the sour red peppers even better….and it does not offend me at all….I am happy that this recipe inspired you to make the recipe your own….and this way you start your own tradition eating these special peppers with you family…..Love you…. These are such a great way to continue to enjoy ‘fresh’ bell peppers when the season wanes. The pickling liquid is just delish! Devaki….thank you for your nice comment….I LOVE hearing from you…yes, I try to have these peppers in the refrigerator…all the time…I love them on my sandwiches…they give a sandwich the juicy part that I miss otherwise…. I love all your posts as well….and need to reread the last couple of them…sometimes I am overwhelmed with emails…. I do so enjoy your beautiful pictures on Facebook. do with them. It was time to do something. Right there was one for sour peppers. I got busy and made them right up. 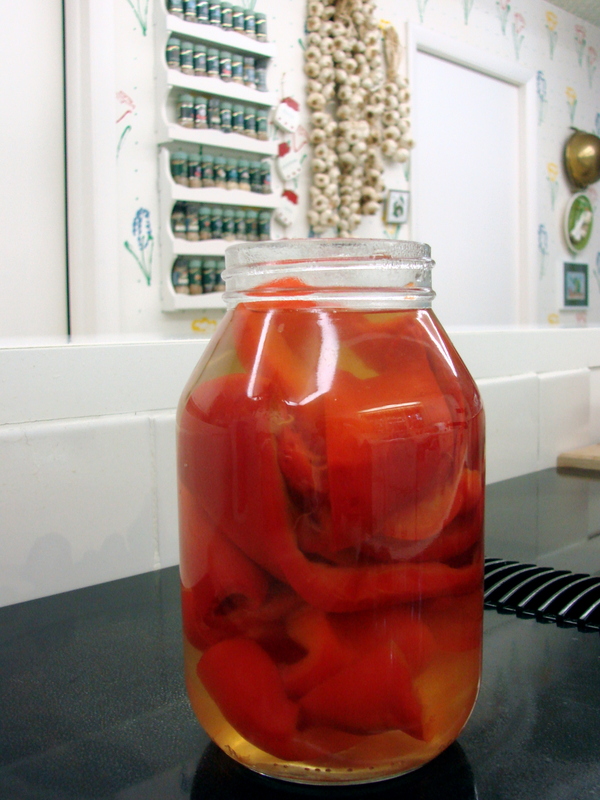 I love pickled things, and I l o v e these peppers ! I’m sure I will eat them on everything. Thank you for sharing your wonderful recipe.